Convert FLAC audio to MP3, WMA, AAC, M4A and 1000+ video/audio formats. Looking for a reliable to convert FLAC to MP3 on Mac OS X, so you can play FLAC for wider playback on MP3 devices like iPod, or other incompatible applications like iTunes? If you want to convert FLAC to MP3, this tutorial will offer you help. It introduces how to convert FLAC to MP3 in detail on on Mac OS X (Mojave included). Converting FLAC to MP3 on Mac computer, you'll need a best FLAC to MP3 converter for Mac as your assistant. 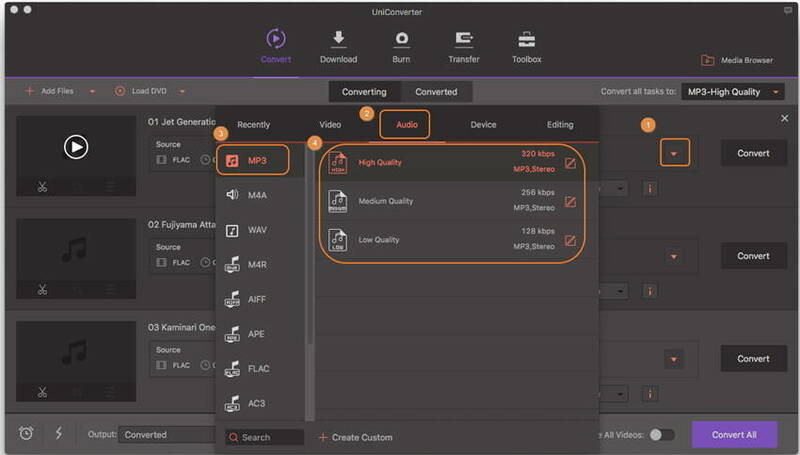 Here, I strongly recommend the Audio Converter for Mac, which allows you to convert from FLAC files to almost any audio format like MP3, WAV, AIFF and other formats effortlessly. Also, it supports to batch convert FLAC to MP3 for Mac and converts specific segments from the long audio files using the trim function. Now let's start to convert from FLAC files to MP3 on Mac OS X step by step. 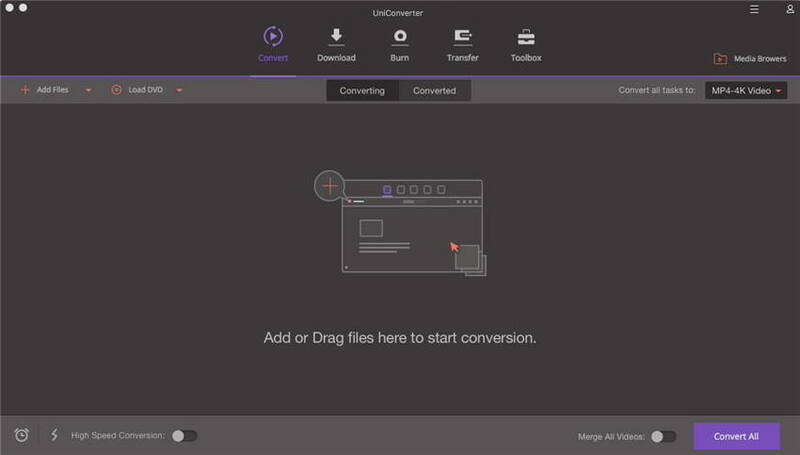 Download and install Wondershare UniConverter for Mac (originally Wondershare Video Converter Ultimate for Mac) on your computer, then start it. After that, you can choose the Convert section at the top middle of the software window. 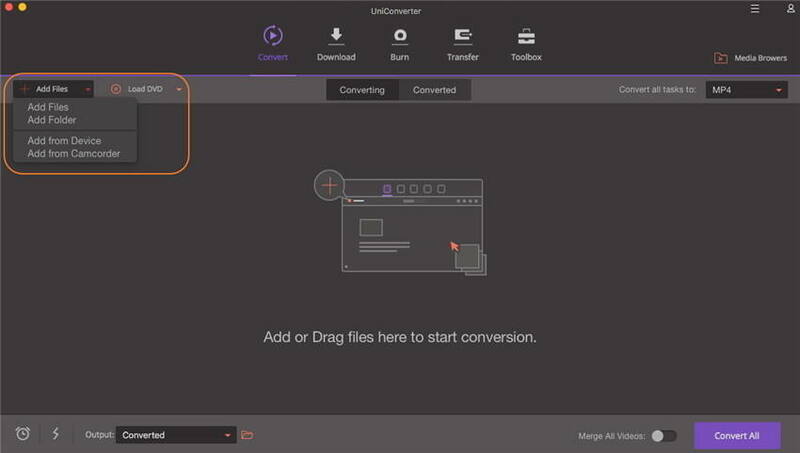 You have two options to add the FLAC files to UniConverter (originally Wondershare Video Converter Ultimate). One is by dragging and dropping the video into the program window directly, and the other is by clicking Add Files at the upper left corner of the main interface. Click the down arrow button from the Target box and select Audio tab, choose MP3 in the left sidebar and select the audio resolution in the right to confirm the output format. Hit the Convert button at the lower-right bottom to start converting FLAC to MP3 on Mac OS X. The time of the conversion mainly depends on the size of all imported FLAC files and the performance of your computer. Batch convert between all kinds of popular video formats for playback on various popular devices and applications with Mac computers. Extract audio from videos in any audio format like MP3, FLAC, MKA, WAV, AIFF, etc. More cool editing functions like trim, crop, add effect, etc. 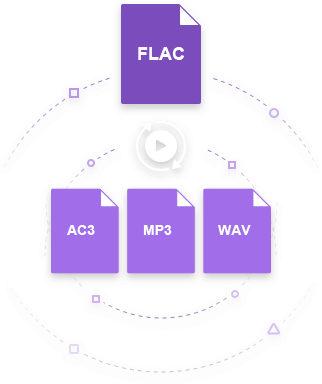 FLAC is a file format for lossless audio data compression. It has high file size and high quality. MP3 is a patented digital audio encoding format using a form of lossy data compression. It is a common audio format for consumer audio storage, as well as the standard of digital audio compression for playback on most of the audio players. Compared with MP3, FLAC playback support in portable audio devices and dedicated audio systems is limited. Due to the large size of FLAC files, people prefer MP3 format for its lower size and compatibility almost on every device.